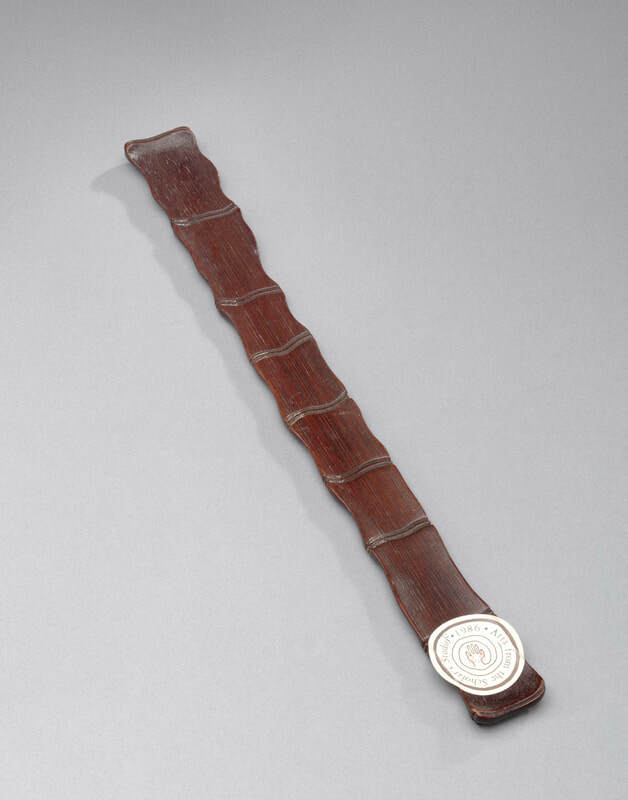 A long, narrow and slightly arched section of bamboo culm carved to simulate a section of growing bamboo, with leafy branches at each end and with nodes delineated by double waved lines that repeat on the reverse. Gerard Tsang and Hugh Moss, Arts from the Scholar’s Studio (1986), no. 23, pages 60–61. 24 October–13 December 1986, no. 23 (paper exhibition label affixed to underside of the accessory). 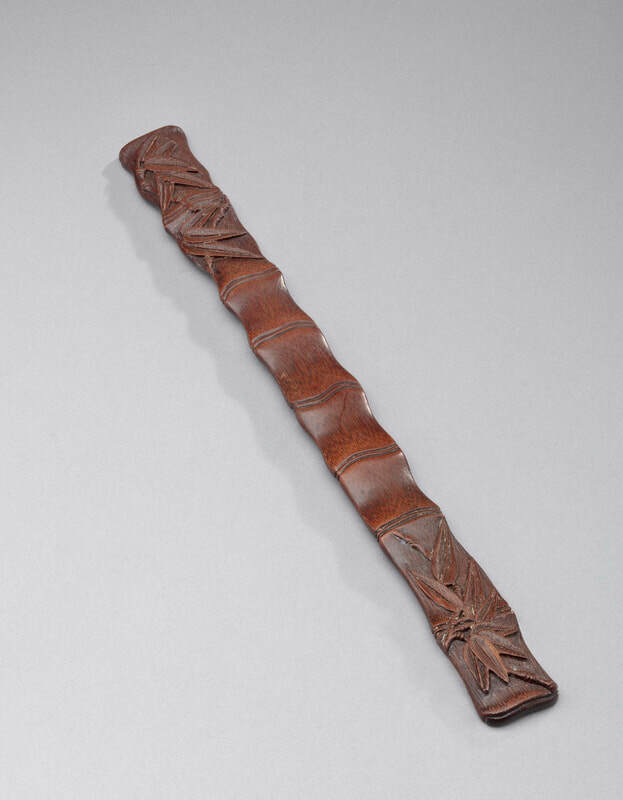 In their catalogue entry in Arts from the Scholar’s Studio,Gerard Tsang and Hugh Moss describe this object as a wrist rest, however the slenderness and pliability of this carving make it unsuitable for that purpose, despite its slight curvature. It is not heavy enough to be a paperweight. 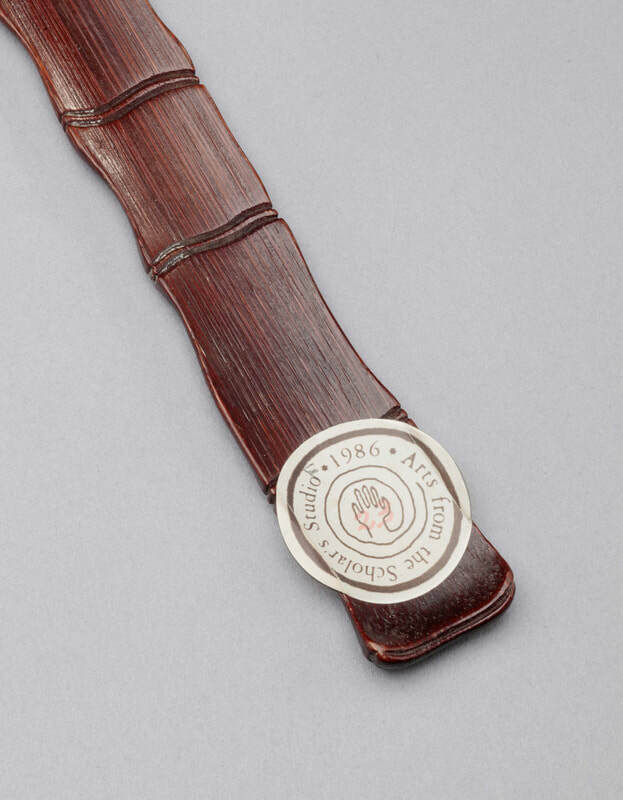 Quite what it was intended to be is difficult to define; was it a ruler or other marker, or was it simply a delicate object for the scholar’s desk?